Anne Miller is distinguished by her action-oriented approach based on the key premise that “it is far easier to act your way into a new way of thinking than to think your way into a new way of acting”. For over 35 years she has worked globally with individual leaders and teams committed to going beyond past successes to create extraordinary futures for themselves and their organizations. She specializes in leadership development, action learning, rapid cycle time innovation and executive alignment. Anne takes a pragmatic approach in working with individuals and multi-cultural teams. She created the Action Lab™ as a tool for C-level executives to accelerate the delivery of breakthrough results while developing their leaders and their collaboration practices through a series of iterative accomplishments. Anne has led successful leadership development and organizational transformation efforts for Fortune 100 companies in many areas of the world. 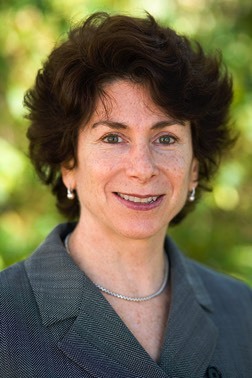 She has coached senior executives and their teams in a variety of cultures and industries with clients such as Intel, Toyota, Goldman Sachs, Novartis, Shell, MillerCoors, Coca-Cola, Intel, Citigroup, Humana, Chevron, Hewlett-Packard, BP, Group Lotus Plc, Plastic Logic and Dow Chemical Venture Capital. She has been invited to work with four leading business schools – London Business School, Vanderbilt Owen, Thunderbird School of Global Management and Arizona State University. At London Business School, she designed and served as director and faculty for the Entrepreneurship Summer School and developed the initial concept for the Master’s in Management. Anne has also designed and co-led a ground-breaking Women in Leadership Program for a Fortune 100 company to raise the performance contribution of women as leaders in the business. The program was recognized as Best Practice by Catalyst. Prior to founding her own business, Anne was a Partner with Oliver Wyman Delta Organizational Consulting, helping to grow the brand in the UK for organizational change and leadership development; and formerly a Principal with CSC Index, both in the UK and Hong Kong. She began her career in IT, leading teams of analysts and programmers in the design and development of customer solutions for banking, seismic exploration, financial planning and oceanographic research. She is a citizen of the USA and the UK, and has lived and worked in Europe, Malaysia, South Africa, Brazil and Mexico. Anne is co-author, with Richard Pascale, of “Acting Your Way Into a New Way of Thinking” in Leader to Leader, and “Action Lab: Greenhouse for Change” in Strategy and Business. She is qualified to deliver several leading assessments and training such as the Myers-Briggs, the Hogan suite, Focused Energy Balance Indicator, Tilt365, Voices® 360, Global Mindset Inventory, Cultural Orientations Indicator and The Corporate Athlete course from the Human Performance Institute. Her pro bono work has included entrepreneurship training for vulnerable women in Eastern Europe as part of a reintegration process to build confidence and competence. As a former board member, she is now an advisor to Silver Bullet Productions in New Mexico and is a Mentor with the Creative Startup Accelerator for the Global Center for Cultural Entrepreneurship. Education: Anne received a BA in mathematics from Colorado College, and graduated with merit as a Sloan Fellow from London Business School. She has trained with the College of Executive Coaching and is certified with the World Association of Business Coaches (CBC™), the Marshall Goldsmith Stakeholder Centered Coaching Process and Higher Ground Leadership®. As a former triathlon champion, she still thrives on sports and adventure travel and lives in Santa Fe, NM, where she built an award-winning “green” house.